Jim Noteman’s tenure on the Marian Board of Directors included three years as Treasurer and chair of the Finance Committee and two years as President. Seventeen years later, he continues active membership on the Finance Committee, helping ensure that Marian operates under strong fiscal policy. A charter member of the Audit Committee, Jim also founded and chairs the Investment Committee to secure Marian’s financial viability. “Jim’s steadfast dedication is matched by his desire to make a positive impact,” Sr. Lenore Pochelski, IHM, Head of School, stated. Jim and his wife Mary Kay, residents of Milford, are parents of a Marian alumna and three sons. John Woch has served Marian in many capacities from Dads’ Club President to President of the Board of Directors. As Dads’ Club President, he reinstated Monte Carlo Night, a social and fundraising event. He also served on the Executive, Nominating, and Advancement Committees of the Board and continues to serve on the Finance and Investment Committees. “John has been generous in recognizing the contributions of staff and volunteers – and in his annual donation of highly prized auction items,” Sr. Lenore said. 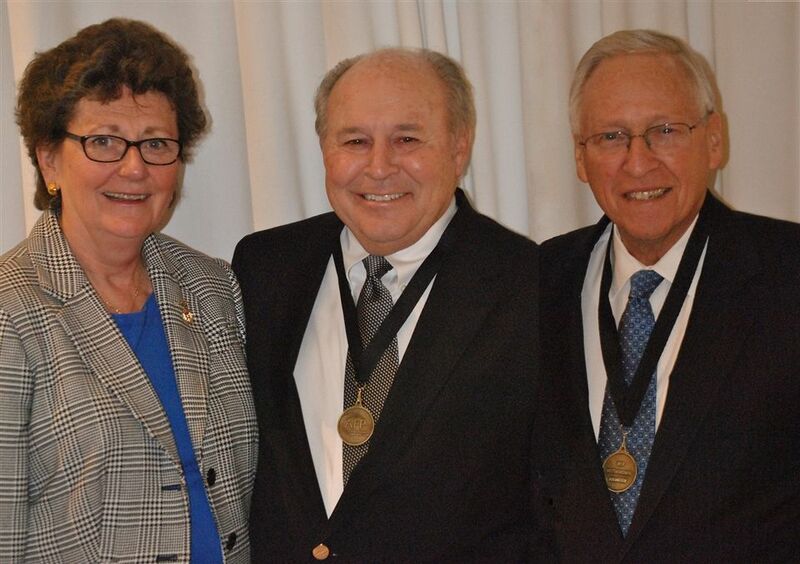 “His generosity has made him a champion of Marian’s mission.” John and his wife Linda, who live in Bloomfield Hills, are parents of two Marian alumnae daughters. The two Marian volunteers were among the 80 Distinguished Volunteers honored by local nonprofit organizations at The Henry in Dearborn. Each year, National Philanthropy Day is observed by more than 200 AFP chapters across the country to recognize the contributions of philanthropy and volunteerism in each area. The Detroit-area event was presented by Crain’s Detroit Business.